I would like to thank you and all your team for the hard work and serious graft that you put in on Friday – from set up all the way through to clear down. The result was a fabulous evening. 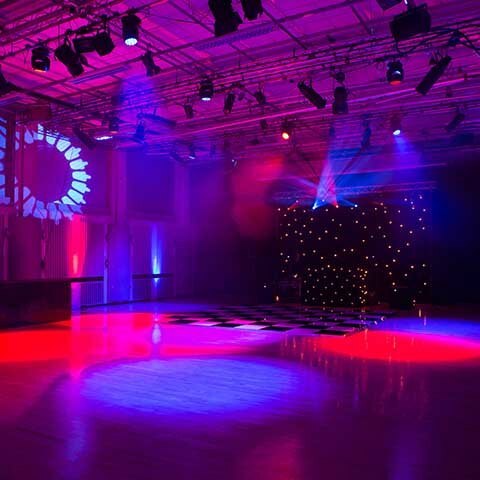 We have worked with the Royal Grammar School, one of the country’s most prestigious schools, for five years, supplying technical production services for the Leavers’ Ball. 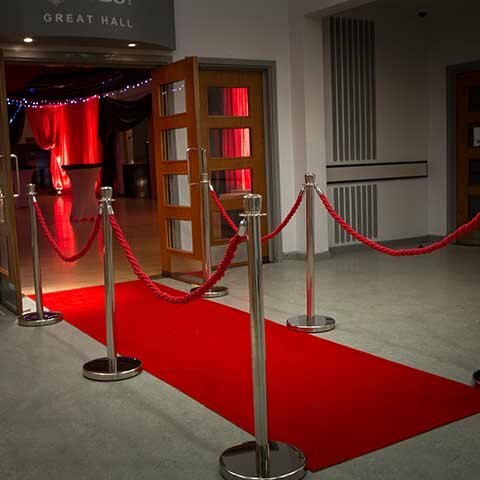 It’s an incredibly special event, strictly black tie, and nothing less than perfect will do. 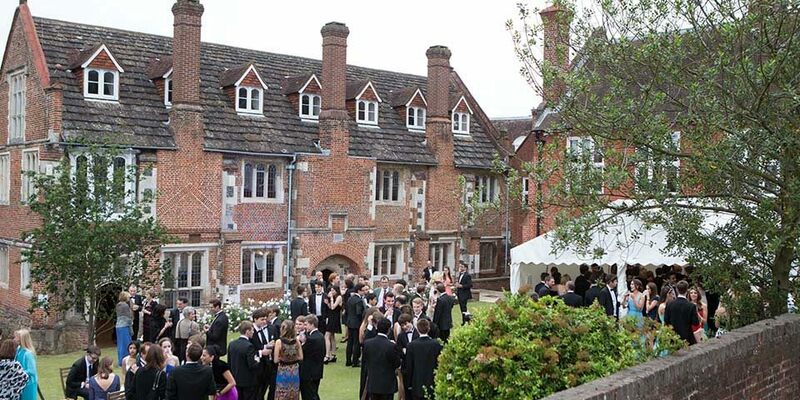 Having attended their Leavers’ Ceremony in a nearby church, the boys, their guests, parents and staff enjoyed a sophisticated drinks reception on the Headmaster’s Lawn. 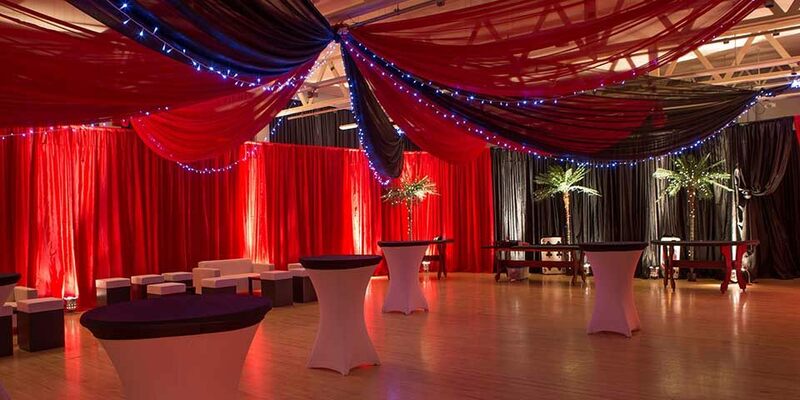 We transformed the impressive Great Hall into a casino, dressing the walls and ceiling with red and black drapery, and the drama studio was turned into an atmospheric nightclub for which we supplied a DJ booth and DJ, moving lights and uplighters. 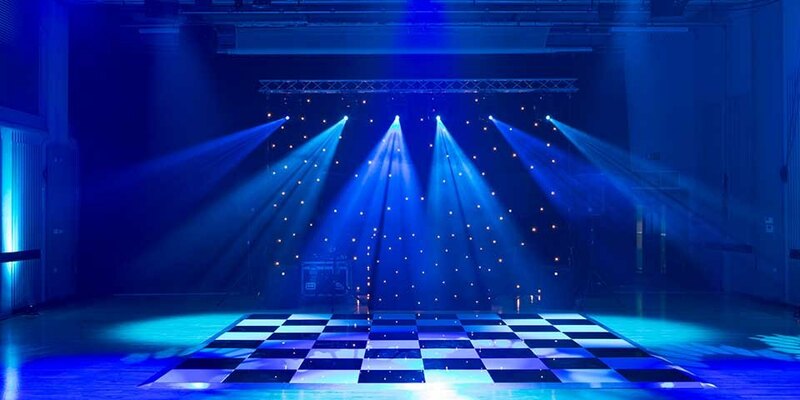 Bringing everything together, we created a stylish backdrop using outdoor wash lighting across the school site, along with festoon lighting, flame torches and gas flambeaux. 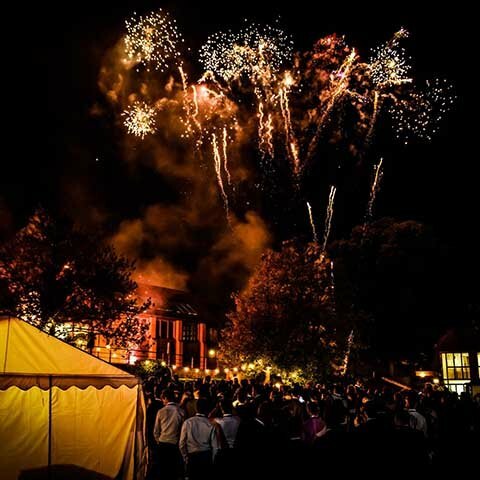 A live band performed and for the added wow factor we arranged a stunning fireworks display to end the evening – a first for this 500-year-old school. It was a dazzling send-off for students, many of whom had spent seven years studying at the RGS.